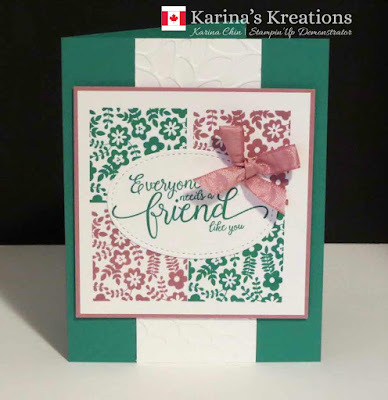 Karina's Kreations: Stampin'Up Window Shopping Swaps! 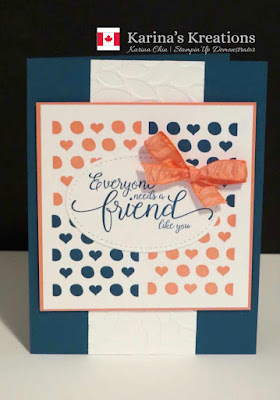 Stampin'Up puts on a really fun event called Onstage twice a year in various locations. I'm off to Onstage Calgary today and made a few swaps using the Stampin'Up Window Shopping stamp set #143265. I couldn't decide which color combo I liked better so I tried a few different options. The centre Whisper White panel is 3-3/4" x 3-3/4". The petal Burst strip is 2" x 5-1/2". 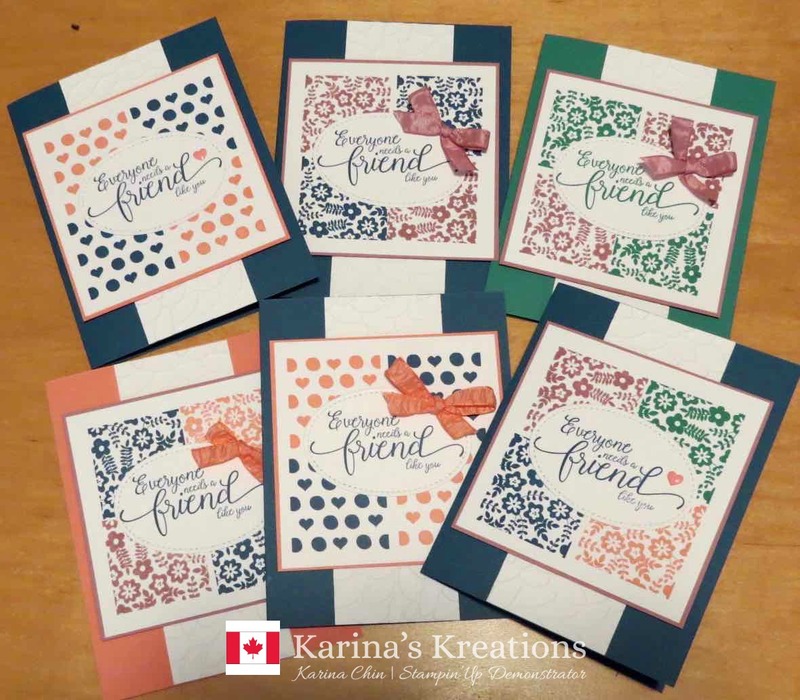 To order supplies in Canada click this link!